The AtlasIED Priority Pager Relay Controller is a two input by two output speaker level relay switcher. The AA-PPRC is designed to be placed between an amplifier's output and the speaker load. It can be used with 25V, 70.7V, 100V or low impedance systems. Each channel can handle up to 350 watts. Placement of the relay controller is not critical because the systems switching can be triggered from a variety of sources. 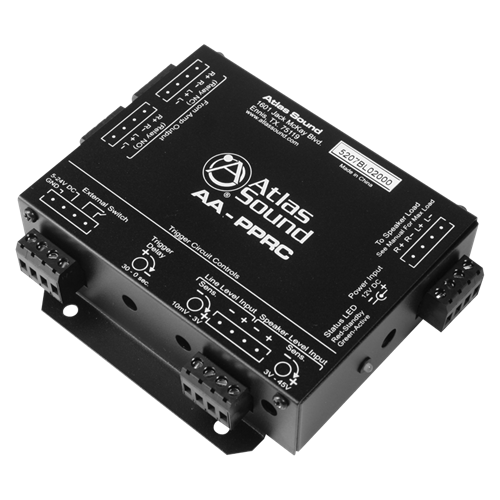 Both High Level and Line Level signals can trigger the relay control circuit as well as a wide range of DC voltages. Contact closer terminals have also been incorporated for your convenience. Relay release can also be adjusted allowing for proper paging override tuning. 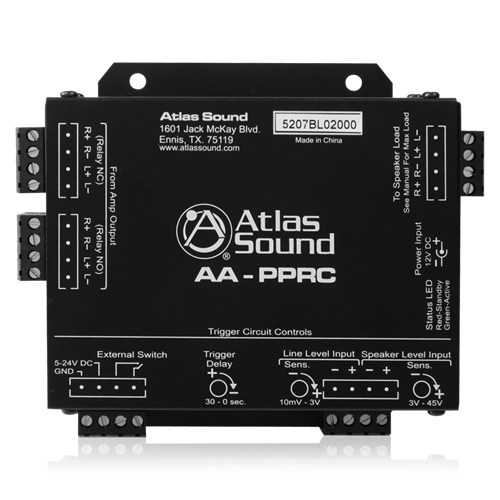 The AA-PPRC can be used in variety of installs such as board room applications where an audio presentation system needs to be muted so the page can be heard. The presentation system will resume when the page has completed. 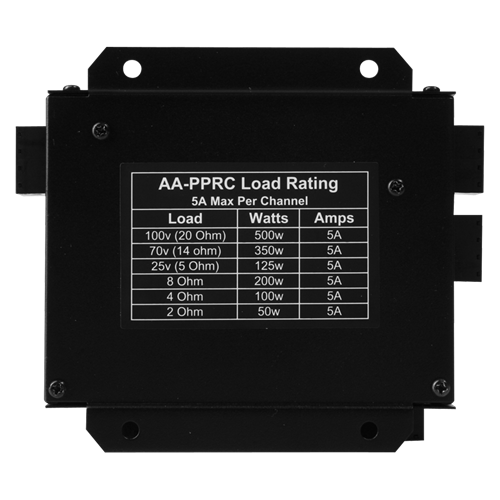 It is also ideal for zone paging management for new or existing 8Ω, 25v, 70.7V, and 100V systems.